No, Rahm Emanuel isn't running. 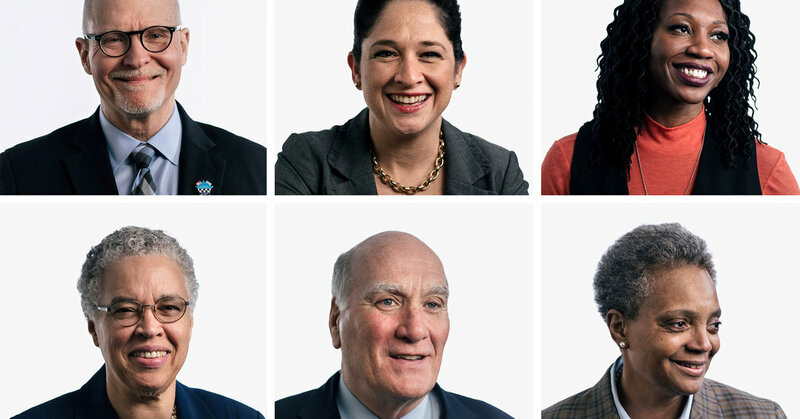 But practically every other power player in Chicago is on the ballot on Tuesday in a race that is perhaps the most unpredictable mayoral contest in a generation for the nation's third-largest city. It's a free-for-all with no clear front-runner. 1; and not so essential – questions. Chico : Downtown vs. Neighborhoods. Daley : Turbulent, challenging, entertaining. Enyia : PR No substance. McCarthy : Self-centered, failure, mismanaged. Mendoza : Good for downtown. Vallas : It's almost over! Mendoza : Getting a handle on violence. Dibs * or No Dibs? Chicago boasts of being the birthplace of the skyscraper, and it fawns over its skyline. But what is the fairest of them all? Daley : The Wrigley Building. Lightfoot : One of the most interesting buildings is Marina Tower. McCarthy : The Hancock building. That's where Kristin and I got engaged, in the Signature Room. I got down on my knee and she started blubbering and I had to ask her twice. I was like, will you answer the damn question? But she's a lawyer; she doesn't answer questions. Mendoza : The Sears Tower.